The aim of the VEGETATION instrument is to provide accurate measurements of the main characteristics of the Earth's plant cover. Practically daily global coverage and a resolution of 1 kilometre make this sensor an ideal tool for observing long-term regional and global environmental changes. 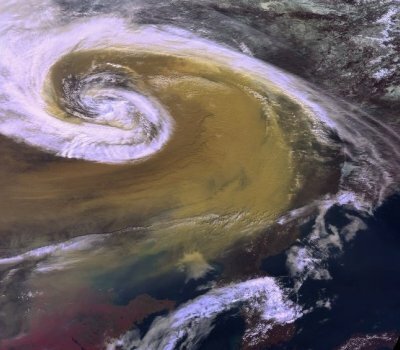 The first VEGETATION instrument was operational since April 1998 as part of the SPOT 4 satellite. A second payload, VEGETATION 2, is now operationally operated onboard SPOT 5. Find our more about VEGETATION on http://www.spot-vegetation.com/ and on the page "10 years of imaging the Earth: SPOT-VEGETATION" of the EOEdu website. 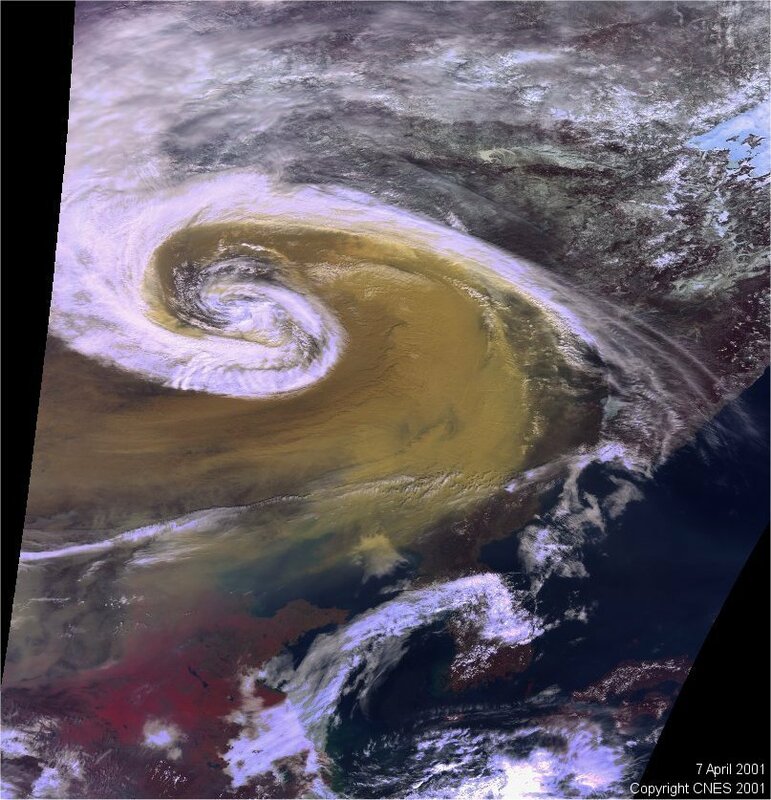 The Vegetation sensor took this beautiful image of a dust storm over China (07/04/01). Source: VEGETATION programme, VITO. Artist's view of SPOT 5. Source: NOAA Coastal Services Center. The SPOT (Satellites Pour l’Observation de la Terre) remote-sensing programme was set up by France in partnership with Belgium and Sweden. The SPOT system comprises three operational satellites (SPOT 2, SPOT 4 and SPOT 5), an orbit and mission control ground segment, a global network of receiving and processing stations, and an international product distribution and marketing network. The constellation of SPOT satellites in orbit makes it possible to observe practically the entire planet in one day. 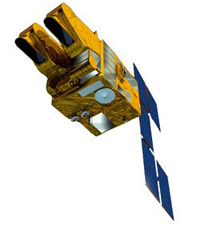 All SPOT satellites were placed in orbit by an Ariane launcher.